The Powerful Items by Professional Occultist! 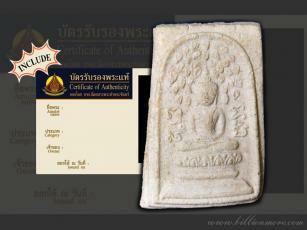 Description: Takrut Saney Nok Tor Lae Salika Pon Yuea by Arjarn Auan a skilled Khmer style exorcist. Contains only herb powder without any Prai!! Good and powerful. Can pray for good luck, windfall, charm, kindness, good business and successful communication. Suitable for all genders. **Carrying anywhere will gain patronage from superiors, interest and good vibes from beholders; making them loving, want to stay nearby and want to talk to you. ** Arjarn Auan installed "Visha Salika Pon Yuea" that this step was done by disciples who are husband and wife. When finish, Arjarn Auan filled the powder and uttered magic spell over the amulet for one more time. Description: Takrut Pook Sab Siang Chok by Arjarn Auan a skilled Khmer style exorcist. Installed with magic of luck. Filled with "Mon Phaya Kai Kok" the wealth chicken powder magically efficacious in gamble and windfall. Description: Nang Kwak Maha Saney (the beckoning angel) by Arjarn Auan a skilled Khmer style exorcist. 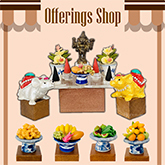 Nang Kwak is a benevolent spirit praised as the goddess of wealth & commerce. **This special one is made of spiritual mass with Chin Arthan (spiritual piece) and ghost picking wood to increase magical power. Owner can pray for good luck in finance, lottery and business. **This normal style is not mixed with Prai mainly made of a plant called "Wahn Chompu Nuch" that gives pink color. Backside with handwritten Yant by Arjarn Auan. Description: Krabiaw Riak Rak the love oil by Arjarn Auan a skilled Khmer style exorcist. It is made of Wahn Dork Thong, Wahn Saney 108 mixed with dugong's tears a rare material. Helps increase your confidence in love and personal magnetism. Description: Hoon Phayon Phra Ek by Arjarn Auan a skilled Khmer style exorcist. Made of natural substances without Prai and the maker successfully installed 4 elements into the figure - a good spirit that he can help you from harm and vicious powers and also enhance your destiny. Description: In Ku Gammasut by Arjarn Auan a skilled Khmer style exorcist. Powder material: Phong Gammasut, Phong Saney Ya Faed, Phong In Maha Saney, Phong Pathamang Loki, Phong Metta Ha Roi Mia, Phong Wanthong Sorng Phua. Powerfully and magically brings love to the singles and fastens love of spouses. **This special one is filled with love candle mass at the bottom. "I have already received the amulet today. 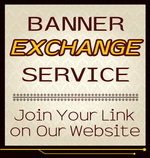 Thanks for your fast and reliable service."